A specialty chemicals manufacturer that’s come under fire in recent months over releases of potentially carcinogenic substances into the water around its North Carolina plant reportedly admitted two more small spills in recent weeks. The North Carolina Department of Environmental Quality has been investigating GenX, a chemical used by Chemours in the manufacture of fluoropolymers including PTFE—sold by Chemours and DuPont as Teflon—after finding possible contamination around Chemours’ Fayetteville Works. GenX, an unregulated chemical, has been shown to be carcinogenic in some animals. After reports that GenX releases were contaminating the groundwater—used as a drinking-water source by some nearby residents—and the Cape Fear River, the DEQ began looking into the substance and Chemours’ handling of it. Chemours released a statement in June asserting that it did not believe GenX was affecting the area’s drinking water, but that it would implement new practices regarding the capture and disposal of wastewater containing GenX. 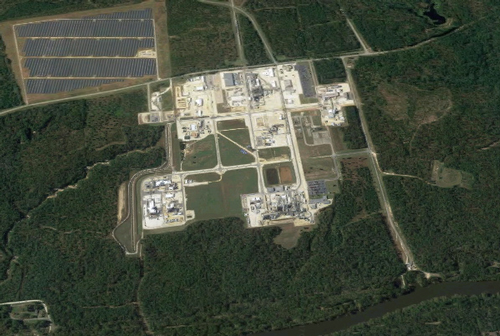 The North Carolina Department of Environmental Quality is investigating possible contamination of the groundwater and waterways adjacent to Chemours' Fayettevillle Works plant. Now, the Wilmington StarNews reports that Chemours informed the DEQ of two more recent spills of wastewater that may have contained GenX. The two releases, which occurred during the loading of wastewater into tanker trucks, involved spills of 5 gallons of wastewater (on Dec. 31) and 10 gallons (Jan. 14). The small spills would have released a small fraction of a pound of GenX, and Chemours reported to the agency that they were quickly cleaned up without the wastewater entering the groundwater or waterways. According to the StarNews, Chemours said it was not required to report the incidents but did so voluntarily given DEQ’s interest in the GenX issue. A DEQ representative told the StarNews that the agency would take the accidental releases into account as it continues its investigation into GenX at the facility and considers enforcement action. Chemours did not immediately respond to a request Friday (Jan. 26) for comment on the recent releases; the company also did not respond to a request earlier this month for comment on the GenX situation.